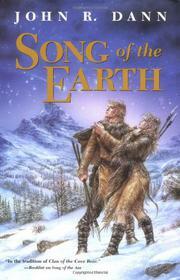 Prequel to Dann’s The Song of the Axe (2001), a prehistoric saga that takes place some 30,000 years ago, as the Neanderthals evolve into the Cro-Magnons somewhere in Eurasia. The story here features the tribe of chieftain Grae before his death and before Neanderthals destroy Grae’s tribe, allowing the bison-hunter Agon, with his whistling-axe mates and golden-haired Eena, known as Spear Woman, to start his own Cro-Magnon tribe. Dann’s smooth-skinned Cro-Magnons are so much like modern man—passionate, spiritual, romantic, intelligent—that one questions whether they evolve from the hairy Neanderthals or are a separate species that displaces the Neanderthals (the Multiregional hypothesis). We follow a number of chieftains named Grae through several generations as the family treks in a great exodus from Africa into Eastern Europe and finds itself in a new land where great rivers overflow with glacial ice melt. For a time, it’s paradise. The figure of the vile Lilith in the present story makes clear that Agon and Eena are our forebears—though not in a Creationist sense—Adam and Eve. When a volcano erupts, the tribe of bulbous-headed Grae is killed but Grae escapes with seven sisters, each of whom he impregnates. Once tree-nesters and more or less vegetarians, they must now be meat eaters, killing birds and animals at a watering hole, and, for safety, turning into cliff dwellers. But as they grow, the smart, bulbous-headed children of Grae, including one difficult child, Ka, cause dissension, and the tribe splits up, with Grae and some of his wives and kids heading north. Grae dies, but the tribe reaches the Promised Land foretold by spirits, and young Grae becomes leader. The tribe meets friendly people and becomes masterful bison hunters, though it must also face enemies. At heart a romance (who knows what these well-spoken Cro-Magnons were really like? ), rich with gripping escapism and comparable to Jean Auel’s Earth’s Children trilogy.